Are you interested in day tour around Paris? Do you want to experience the best Champagne tour during your stay in Paris? Check out some valuable and beautiful Champagne tours that will make your stay meaningful and worthwhile! Pure Gothic architecture, famous Smiling Angle, and Romanesque Basilica of Saint Remi are all exceptional in Reims. Magnificent Gothic church Aÿ, Avenay-Val-d’Or, Louvois, middle-class homes occupied by famous champagne Houses, beautiful villages, romantic scene from the top of Mount Aimé are all remarkable in Epernay. One thing you would not want to miss in Paris is champagne. 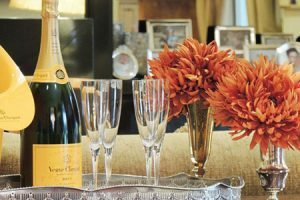 In order to taste the best champagne and get the best experience, let’s check out the best champagne tours in Reims and Epernay region. Surrounded with many hidden villages and family run vineyards, the entire champagne routes cover around 360 miles starting within Reims and stretching to the south of Epernay. Although all the champagne tour produce same three types of grape – pinot noir, pinot meunier and chardonnay, each of them are unique as you take time to learn about the history and the century-long process of producing world’s most notable wine. The Massif de St-Thierry route brings you to the north west of Reims and exit in Tinqueux, through the hidden villages that are intimately linked to the sacraments of the kings of France located among the deep vine and forest. It begins with the visit to the Palais du Tau, that sheltered treasury from the cathedrals of Reims and parts of the original statuary. During this Champagne tour, it will also bring you to visit chapel of modern community that are beautifully designed and decorated. When you have reach to the end of the tour, you will be able to visit the magnificent UNESCO World Heritage Site, Saint-Remi Basilica and its museum. The Montagne de Reims routes extend to the Regional Natural Park of the Mountain of Reims and the agricultural plain, through one of the richest wine-growing areas in France, the Faux de Verzy reserve. It nestles in the heart of the vineyard, with panoramic view of greenery and forests. The routes will also bring you to some small and unspotted villages such as Bouzy and Dizy, which are famous for its red wine. During the tour, you are able to visit the champagne cellars of the Saint-Nicaise hill, which proposed to the World Heritage of the UNESCO shelter thousands of bottles of Champagne. Flowing through the Champagne vineyard, Marne River becomes the most attractive part of this Champagne tour. It passes by some very popular and welcoming villages such as Crouttes, Charly, Nogent-l’Artaud, Romeny-sur-Marne, a town visited by countless impressionist painters, and Condé-en-Brie, a castle of the princes of Condé. 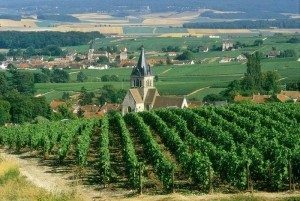 A wonderful view that you will not want to miss is Hautvillers, well-known for its abbey where Dom Pérignon claimed to discover the secret of champagne making in the 17th century. The Côte des Blancs routs locates on the edge of the plateau of Brie, between Epernay to Vertus. 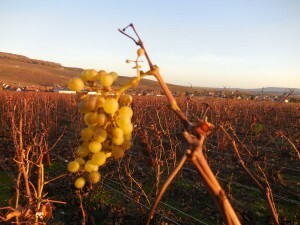 As the hometown of white grapes, you will walk through the elegance and fineness of champagne. The Champagne tour starts in Epernay by the famous Avenue de Champagne, pass through Mont Bernon by Chouilly and return to the church of Chavot-Courcourt of the 12th century, which is the only island in the ocean of vines. This tour will also pass through Oger, one of the “most beautiful villages of France”. Before reaching the vineyards, take a break to enjoy the delicate bouquet of wild flowers, violets and hazelnuts. There are 80 wine growers around this Champagne Routes, not to mention one of the famous champagne producer Aube. Many wine growers are open to the public and welcome visitors throughout the year. As proud of as the wine makers about the creation of their wine, enjoy the tour with enthusiasm and relax in the ocean of champagne and tranquility. Want to discover wine in Paris?